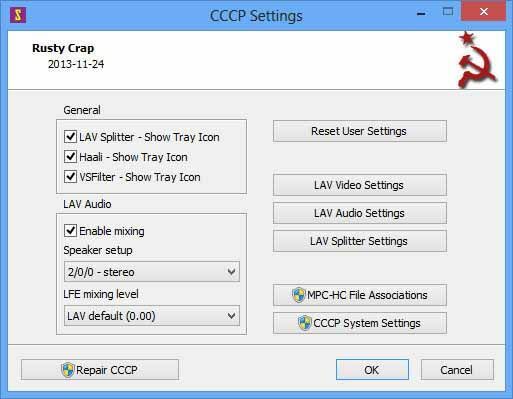 Free download Combined Community Codec Pack (CCCP) latest version. Actually, it’s more a filter pack than a codec pack, but filter doesn’t begin with C and we wanted a good acronym. The name is also a pun on the Russian name for USSR, Союз Советских Социалистических Республик, abbreviated as “СССР”. Blame Lenin and the Commies. Blame movax.